Endodontic therapy, otherwise referred to as root canal therapy, can help those with pain from infected pulp relieve their discomfort and restore the health and function of an affected tooth. By understanding exactly what endodontic therapy is, you can ensure you recognize the signs of infection and get the treatment needed in a timely manner. 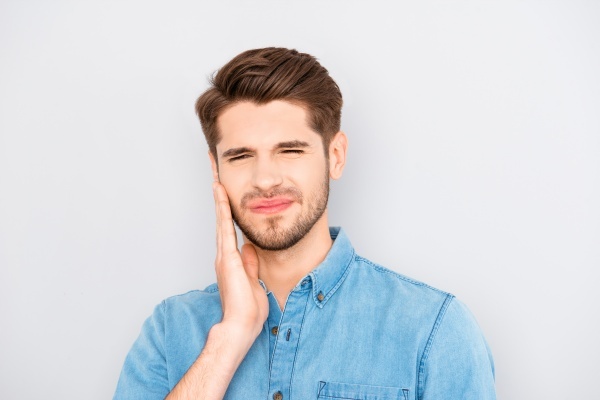 Endodontic therapy can be a scary procedure for many patients, and it can be helpful to know what to expect and how the procedure can help treat a damaged tooth in order to relieve some of the anxiety. The following is everything one should know about endodontic therapy, including who needs endodontic therapy, the signs of endodontic issues and how the process works. Endodontic therapy, or root canal therapy, is a procedure performed to remove and replace infected pulp inside of a tooth. Dental pulp is a soft tissue found deep in our teeth that is vulnerable to an infection, especially if damage has occurred to the tooth. When the pulp becomes infected, it can lead to a lot of pain and sensitivity in the affected area and a need to remove the infected pulp. Through an endodontic therapy procedure, the infected pulp is removed, and the pain and sensitivity in the patient is alleviated. Endodontic therapy is needed in individuals who have developed infected pulp inside of a tooth. There are various reasons why someone may experience infected pulp, including if a tooth has become cracked, chipped or damaged in any manner. Infected pulp and a need for endodontic therapy can also result from too many dental procedures on a certain tooth, and perhaps most prevalently, from serious decay of a tooth’s enamel. It is important for those who need endodontic therapy to have the procedure done in a timely manner to prevent increased pain or the development of an abscess. If the need for endodontic therapy is suspected, it is important to visit a dentist in a timely manner. The dentist can use oral examination and dental x-rays to determine whether endodontic therapy is needed. After the dentist determines endodontic therapy is required to restore the function of the tooth and alleviate the pain, the dentist starts the procedure by administering an anesthetic. The dentist then opens the crown of the tooth, cleans out the infected tooth pulp and shapes a space for the filling to be administered. A biocompatible material is then sealed into the empty area to serve as a substitute for the removed pulp. In many instances, a crown is required to fully protect the tooth after the procedure. Request an appointment here: https://santarosaendodontics.com or call Santa Rosa Endodontics at (707) 409-1177 for an appointment in our Ukiah office.